The U.S. curling team was supposed to be finished a week ago. Now, after one of the biggest upsets of these Winter Games in PyeongChang, it's the Americans—and not five-time curling medalists Canada—who will go for the curling gold medal against Sweden. GANGNEUNG, South Korea — Everybody loves a great comeback story, and I’m going to try to explain this one in a way that sounds like English. This is the problem with curling. It’s not that hard to understand if you watch it for a few minutes. But then you hear people talking about skips and hammers and fresh paths and houses, and you start shopping online for a Curling-English Dictionary, when what you really need to hear are the words of curler Marc Kennedy, a Canadian gentleman who did not sound like one Thursday. Right. And in one of the great upsets of these Olympics, the U.S. men stunned Canada, or at least Canadian curling fans, with a 5–3 semifinal win. Canada, which had won three straight Olympic gold medals in the sport, will now try to win bronze. 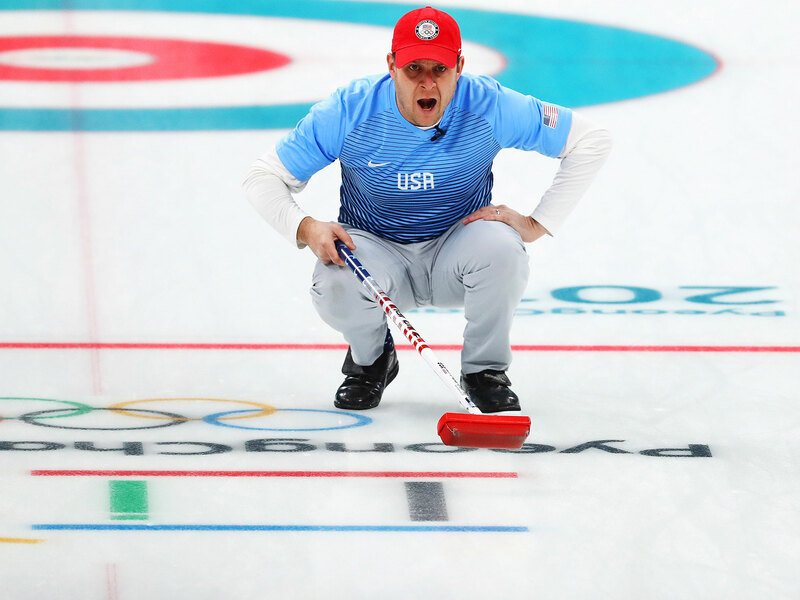 The U.S. team, led by John Shuster, is headed to its first-ever gold-medal game on Saturday. If that doesn’t turn you into a fiery ball of nationalistic zeal …well, the game starts at 1:35 a.m. Eastern time. Maybe you’ll be sauced by then. The gold-medal game will be great theater, and here is why: The American men should be long gone by now. They lost four of their first six games in round-robin play. Japan and Sweden obliterated them. (That’s a characterization of the final score, not a curling term.) The Americans had to win their last three games of the round-robin stage just to make it to the semifinals. They beat Canada, Switzerland, and Great Britain to do it—and those are three good teams. Then the Americans beat Canada again in the semifinal, and now they play the mighty Swedes, who just sent Switzerland packing for … well, Switzerland, I presume. But first, the Swiss play Canada for the bronze. This is stunning news to our friends north of the border, who have won silver, silver, gold, gold and gold in the five Olympic men’s curling competitions. We will get to Canada’s curling angst in a minute. 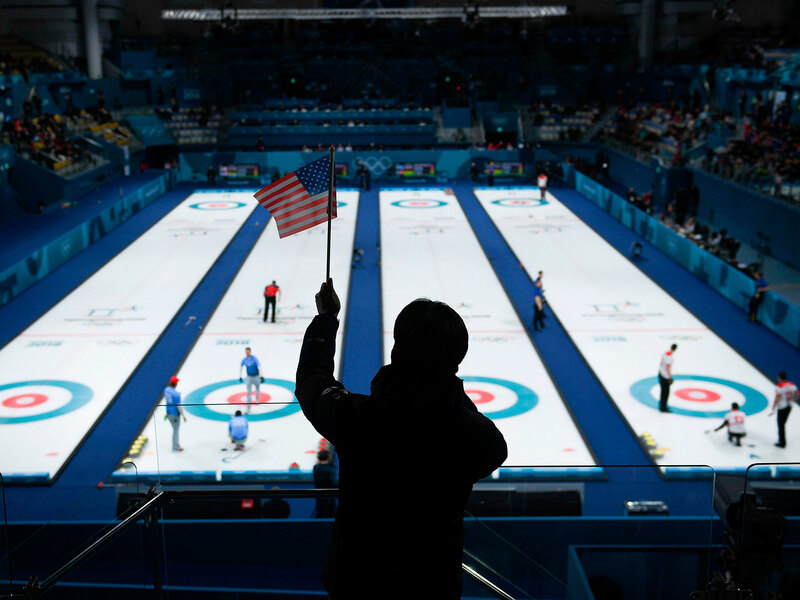 First, let’s talk about the American curling renaissance. The Americans have won one curling medal, a bronze in Turin in 2006. But Shuster and his guys arrived here believing they could win it all. So much of curling is teamwork, and so much of that teamwork is a result of trusting each other. They proved here that they have that trust. The American victory over Canada here was masterful. The game was tied entering the eighth end (or inning, or frame—call it whatever you want, but there are 10 of them), and then the Americans picked up two points in the eighth. The U.S. outwitted the Canadians (or perhaps the Canadians outwitted themselves) in the ninth end, giving Americans a 4–3 lead and the hammer (or last licks, if this were baseball) in the 10th. How will they enjoy it? “I might go back to the village and have a McFlurry.” American curler Matt Hamilton said. The bad news for the Americans is that the Swedes are some kind of evil curling monster. The good news is that the Americans don’t care. They were supposed to be finished a week ago, and now they’re in the gold-medal game. The Americans can certainly get used to it. They are 10 ends away … er, one game away from a gold medal. If they pull this off: McFlurries for everybody! And make ’em all a large.